Eric Flint’s first novel for Baen, Mother of Demons, was picked by Science Fiction Chronicle as a best novel of the year. His 1632, which launched the Ring of Fire series, won widespread critical praise, as from Publishers Weekly, which called him an SF author of particular note, one who can entertain and edify in equal, and major, measure. A longtime labor union activist with a Masters Degree in history, he currently resides in northwest Indiana with his wife Lucille. 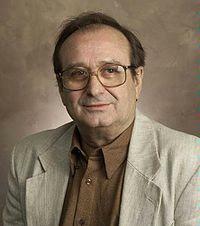 Click here for more novels by Eric Flint. There’s something to be said for sheer audacity. 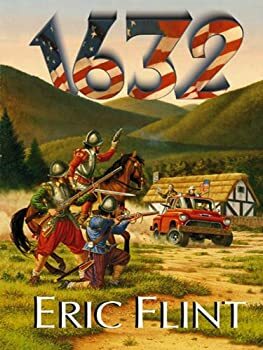 1632, the first book in Eric Flint’s RING OF FIRE series, published in February, 2000, has got audacity in container-ship-sized loads. In the year 2000, a section of West Virginia disappears from our world during an event called the Ring of Fire. It reappears in Thuringia (northern Germany), in the year 1631. The residents of Grantsville, the biggest town in the affected area, led by the steely-eyed protagonist Mike Stearns, promptly decide that they’re stuck there, so they’ll re-create the United State of America on another continent one hundred-forty-years sooner than usual.